Welcome to your personal online classroom, where you can finally study at your own pace, on your own time (and pajamas are encouraged). 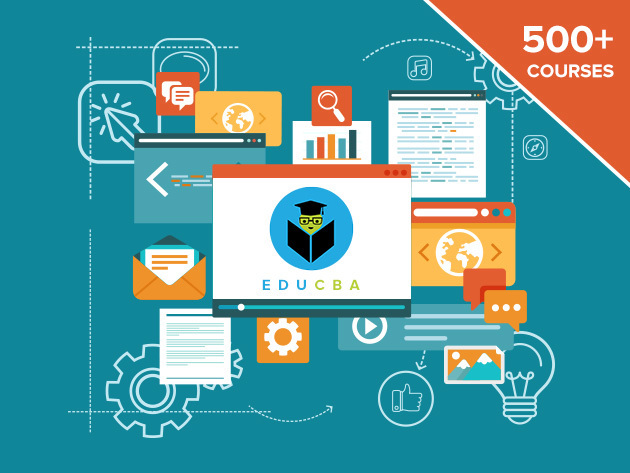 With more than 500 courses currently offered, and more coming, eduCBA delivers course on all things tech. From coding to design, one purchase will grant you access to endless growth potential in the field of your choice. Never stop adding more skills to your toolbox– get lifetime access to eduCBA’s growing library.